Welcome to our selling techniques training Day-6. Our free Sales Cross-Training Newsletter is a good way of staying on top of your sales skills. These sales practices can apply to selling just about any product. In this class we will use copier sales training as our Sales Cross-Training product example. In this selling techniques training course you will learn that all sales have a cycle. You may have heard attention, interest, desire and conviction. Certainly, these happen within the sales cycle, but what exactly is the breakdown of the cycle. Each product, tangible, like copiers or intangible, like life insurance, has it’s own unique cycle. Your particular product may have 4 steps, while another product may require 6. When you understand what a sales cycle is, you can then identify the particular sales cycle that works best for you. First, understand the cycle. If you break down a successful sales process into parts, you can see the inner workings better. It is extremely important to understand that each step is a sale of it’s own, a building block, if you will. You cannot move on to the next step until the one before has been completed, and so on. When you reach the last one you will suddenly realize the sale is made! No hard closing, no arm-twisting, just a simple progression of events that you help the client move from one to the other with ease. We will use this selling techniques training tool as an example of one that has been very successful in the copier industry. The first step is prospecting, cold calling or just setting up the appointment with a qualified client. This is someone or some company that needs your product or services. I suggest that you start at the top. This sales process was designed after one of the best copier reps in the country. We cross studied his vertical sales market and spent several weeks watching his work ethics. To review this sales cross-study check out Sam the Copier Man. The decision maker is the very important top officer, VITO. It is someone who can sign the order, make the deal, write a check, and say yes. Most salespeople waste their time presenting and selling to gatekeepers, secretaries and influencers. Top Down Selling is one common theme of the highly paid salesman. Start at the top; call the president, owner, senior manager or vice president. Here is the basic selling techniques training process: Briefly state what you are selling and mention a few quick benefits; lower cost or improve productivity. The decision maker can care less about features. They want to skip to the chase, so let them! Then ask if you can have their permission to show your presentation to someone in their organization. If he sends you to Joe Smith you are in like Flynn, even better. When you call Mr. Smith and tell him that the President of his company wants him to review your presentation and report his findings directly, WOW, you get the red carpet treatment. This selling technique will get you by the gatekeepers. Very few salespeople have the nads to call the President directly. Your previous selling techniques may have taught you to cold call to the receptionist, however you may be surprised. Decision makers are usually very nice and generally interested in ways to make their company more efficient, productive and competitive. Just don’t try to make the sale on first contact, be brief, to the point and ask him or her to differ you to someone. Your goal is not to sell them, but to get permission to present to someone of his choice within his company. Your focus here is just to get a qualified appointment, that’s all. Next is the conceptual presentation. This is the first meeting where you present your company, your products and services to your client. Watching carefully to see if they show any interest in a particular feature or benefit you mention. Expand and embellish the ones they show interest in and skip through the ones that bore them. That’s right, people buy for different reasons; fear, need for gain, greed, keep up with the Jones’s and so many more. During the conceptual make mental or written notes of what interest them. Your entire goal for this step is just one thing. After sharing enough information to peek their interest, ask permission to do an analysis or question session with them to ascertain their exact needs. This is when you talk of features, advantages and benefits. You are not closing the sale now it’s too early. Your goal here is to get permission to move to the next step. This is selling techniques training 101, may be 102. Good sales training comes from studying many different selling techniques. Over the years I have found several excellent sites and courses with great sales training information. Here’s one for you to check out. Best-Managers-Support.Com is dedicated to helping you on your road to continuing business growth and success through Internet consulting and services support. We'll help you reach for the top! The next step is the analysis or question session. This is where you become the listener. Asking probing questions, taking notes, asking more questions. Your goal here is to understand them and their business in relationship to your products and services. This is where the salesman and the super salesman become separate. This is where you separate yourself from the competition. You client will see you as interested in them and their needs instead of pushing a product or a canned sales pitch on them. Create your own questions that pertain to your product or service. Take the time to get to know and understand their needs. Finally, your goal at the end is to get permission to present your findings. That’s right, close for the appointment only. Again, you are still not closing the sale yet, wait, wait for it. Wait till the answer is yes, soon. Next is to brainstorm the financial and prepare the proposal. Compile all of the analysis information you heard and prepare the proposal tailored around the client’s interest. No two proposals should be the same. Sure you can crank out more presentations if they are all the same, but think about it, your clients are all different. They all have different needs, wants and desires. This selling technique further separates you from the competition. Clients see that you not only understand their needs, but have put a proposal together that addresses them completely. Never, ever use a standard template proposal. There are some things that are going to be the same, product info, pricing, but the features and benefits that need to be presented should be specific to them and them alone. Highlight the ones that interest and skip the ones that bored them. Always quote a payment, never cash. Since 95% of businesses lease, why give out information that can only confuse the client and hurt your position. Personally, I tell my clients that I only lease our equipment. Yes, I have lost 3 or 4 deals over the years from this, but I have closed many more and avoided the price war game. We have a fantastic lease calculator here in Sales-Class for you to use to figure out everything about leasing you ever wanted to know, but was afraid to ask. Like, what is your interest rate? Have you ever been asked for a payment schedule or amortization schedule? Use our lease calculator to create one for your client! Check it out at our Lease Rate Calculator. Six years ago we found a leasing company that is, by far, the best leasing company I have ever used. They take a personal interest in you, your sales and your clients. Most of all, they understand selling. 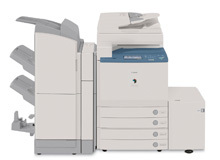 The owner sold copiers for years prior to starting this very successful leasing company. I have never had a leasing or invoice problem with them that wasn’t addressed to my complete satisfaction. Check ‘em out at Best Leasing Company, Ever! The final selling technique is the presentation and close you have worked so hard for. Present your findings with excitement and energy knowing that you have found the perfect match for them. When you have truly worked hard there is a natural tendency to feel excitement and the client will feel it too. Remember, you are there for them. If you present with excitement about your findings and how it matches their needs, if you have done all of the steps, and if you have transferred your excitement about the presentation to the client, then, and only then you have the right to close. Yes, that’s right, you have earned the right to ask for the order. You will be astonished that most of the time if you follow these steps, the answer is usually YES, YES, YES! My personal close ratio went from 20% to 80% using this sales cycle. These selling techniques work. Try it and let me know how it works for you. If you find this website useful, feel free to recommend it to a friend. Or just cut & paste www.sales-class.net. We appreciate the referral!